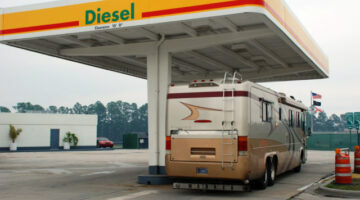 If it has to do with full-size motorcoaches and motor homes, then we're talking about it here! 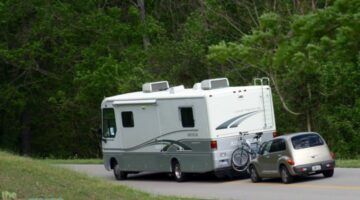 RVers share their personal tips for downsizing your life to become a full-time RVer and travel in a motor home, how to do motorhome repairs yourself, and the best motorhome accessories & add-ons for newbies. I added some orange RV stripes to mimic the color of my Jeep toad. Now my motorhome and my Jeep match! It was easy. 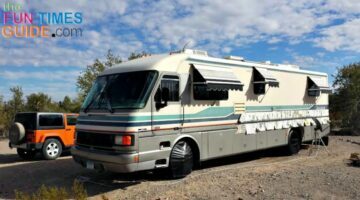 Here’s how to paint stripes on your RV. 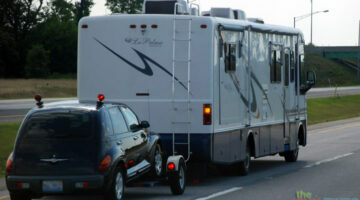 When the brakes went out on my 22-yr-old motorhome, it became a challenge to find RV brake parts. 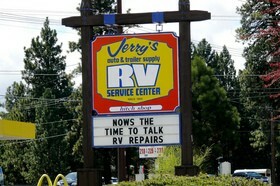 Here’s good info if you need to find old RV parts! 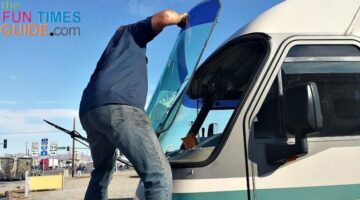 A DIY RV Windshield Sun Shade Idea: Reflective Bubble Wrap Insulation Makes Your Motorhome Much Cooler Inside Without Running The AC! 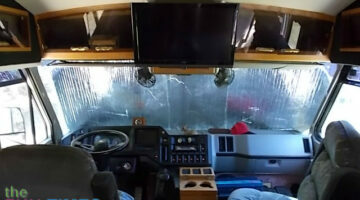 Some RVers put reflective bubble wrap insulation on all RV windows. I just put it on the RV windshield. 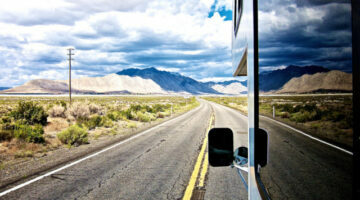 It’s the easiest way to keep your RV cool in summer! 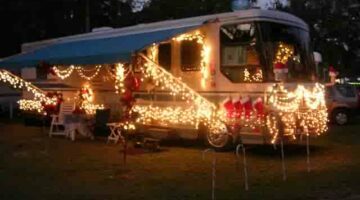 Here’s an RV project you can definitely do yourself! 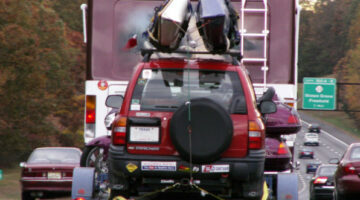 See how I installed new carpet in my 20-yr-old motorhome using a large carpet remnant I got for $45. 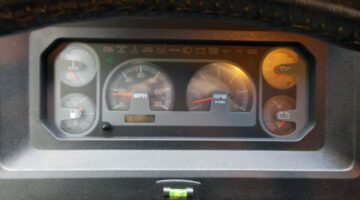 RV speedometer in your old motorhome doesn’t work properly? Step-by-step instructions to replace your speedometer / odometer with a modern GPS speedometer. 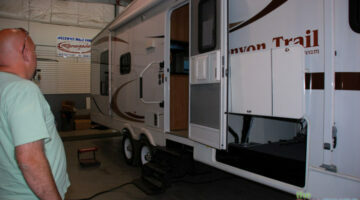 RV Wheels 101: When Was The Last Time You Checked The Torque On Your Lug Nuts? The owners manual on every new RV states that you should re-torque the wheel nuts or lug nuts after the first 100 miles or so. Then periodically recheck the torque to make sure nothing has changed. This is a critical safety issue that often gets overlooked or just ignored. 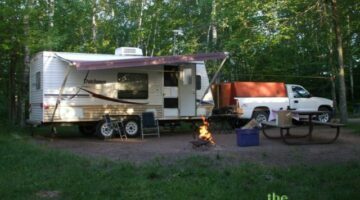 Here’s how to properly install RV wheels and torque lug nuts.